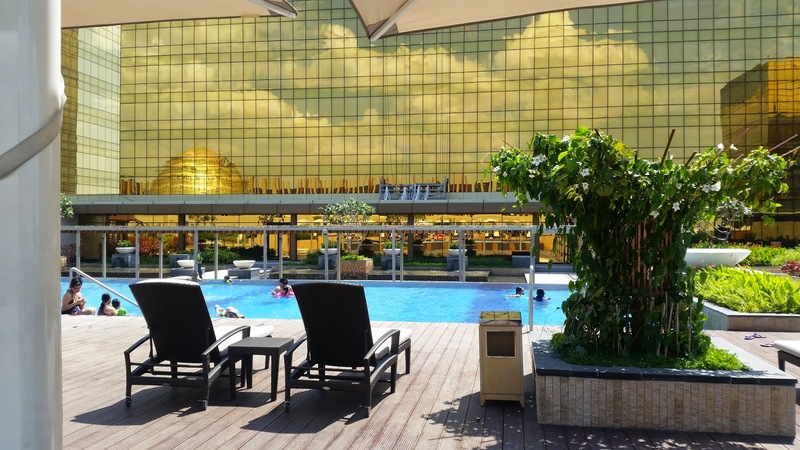 We stayed in Hyatt, one of the three hotels surrounding the City of Dreams. 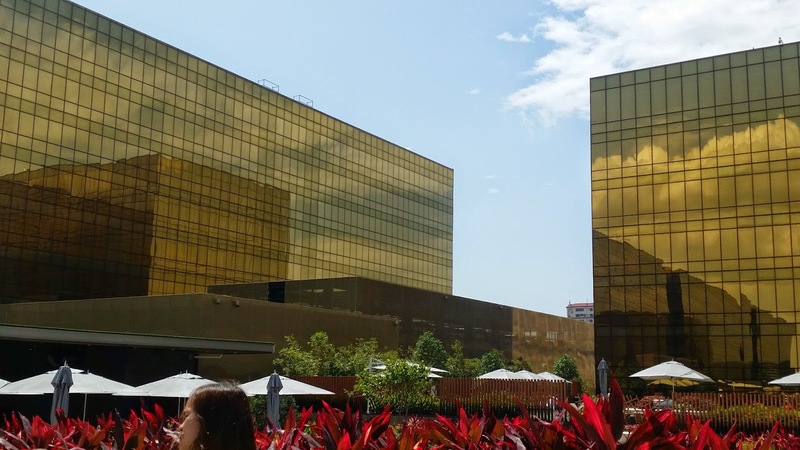 They have 2 pools enclosed by gold tinted buildings. I love how the sky reflects on the facade of each tall structure. Here's another beautiful view. 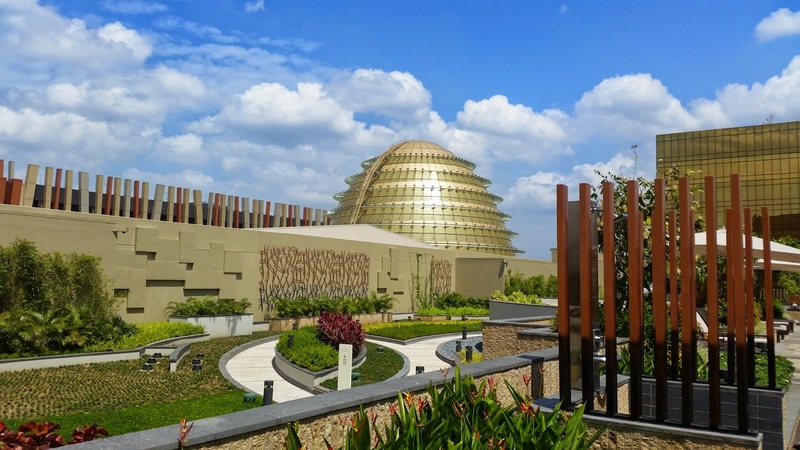 Don't you just love how nature and man made structures compliment so well? Our staycation was short-lived yet memorable and sweet. On to the real topic of this post. 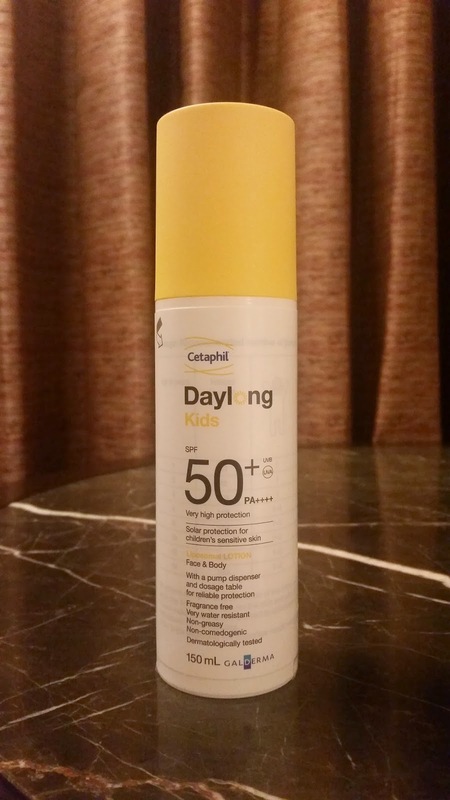 Since we planned to hit the pool during our stay, I brought with me a recent product I got from Sample Room, the Cetaphil Day Long Liposomal Lotion with SPF 50 for Kids. Okay I know what you're thinking. 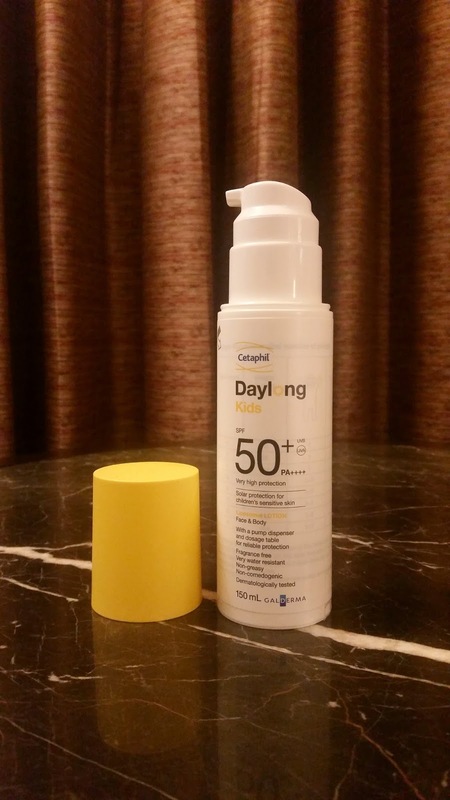 Why on earth did I get a sunscreen for kids? 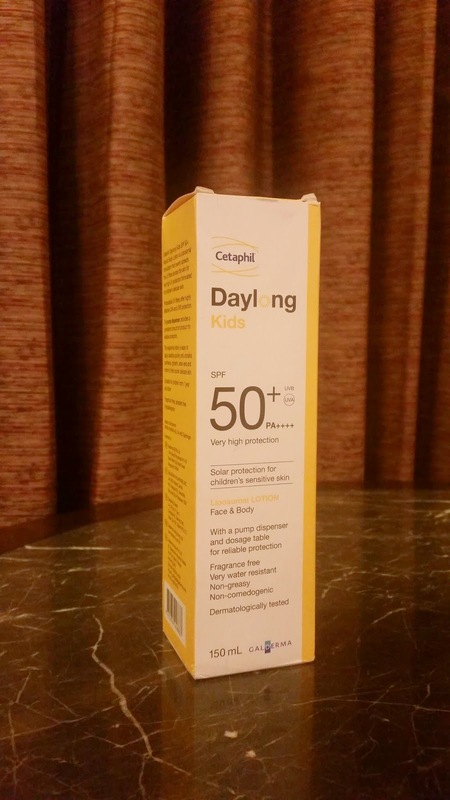 Well, I think it's a product mild enough for sensitive skin yet offers optimum protection from UV rays. So I'm thinking it could work on me too. 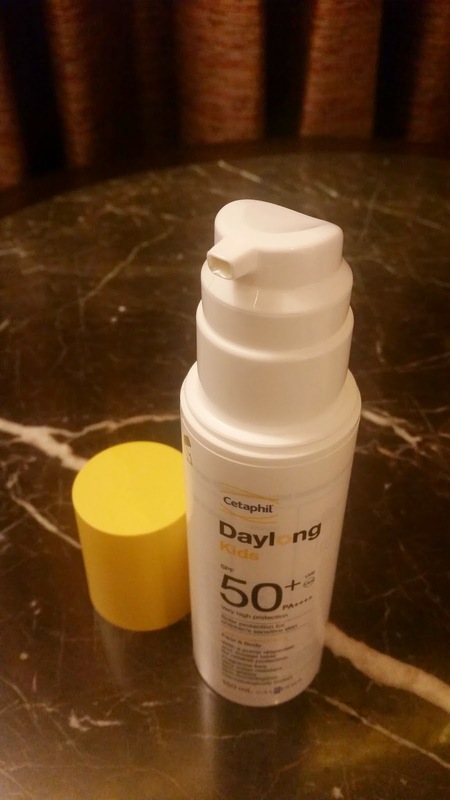 This product is housed in a 150 ml bottle with a pump and snap on cover. I actually like the pump because a single press dispenses just the right amount of product to cover your face and neck. 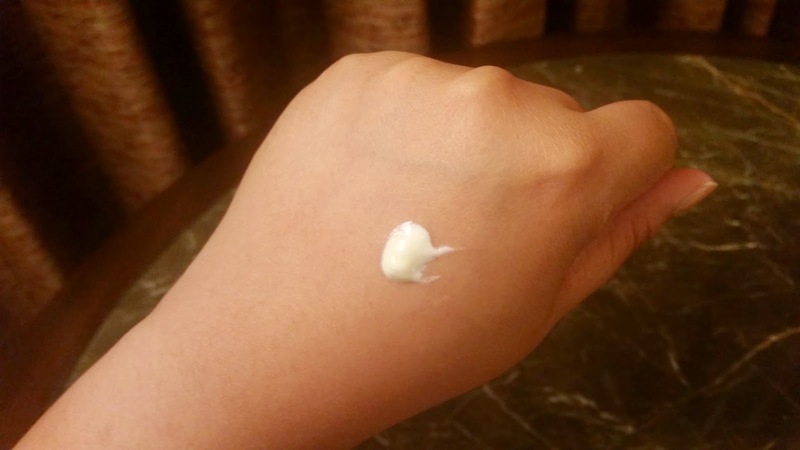 This lotion is opaque white with yellow streaks in between which might be because I didn't shake the bottle prior to use. But it looks the same to me even after doing so. It doesn't smell like the usual sunscreen with high SPF that reeks of chemical smell but rather gives off a faint scent that doesn't linger. It has a runny consistency so it applies easily on your skin and gets absorbed almost instantly. It doesn't feel thick or heavy on the skin but it looks a bit greasy. As for sun protection, I give it 2 thumbs up because it did protect me from sunburn even after prolonged exposure. Overall, I think this is a good product to have around especially this summer when the need for sun protection is pretty crucial. It retails for Php 1,450 which might be a little hefty for just a sunscreen but you can share this with the rest of your family even with the kids so you don't have to buy separate products. This is available in all leading stores so go get yourself one. Thank you for reading my post and have a great weekend! 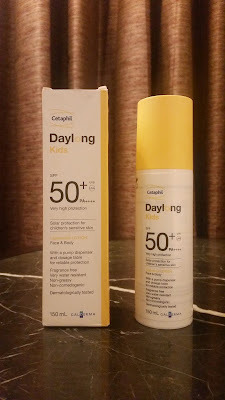 Another great product from Cetaphil indeed! We should have a staycation together!! !